Hi loves! Happy 4th of July to my American readers - hope you are celebrating it well! 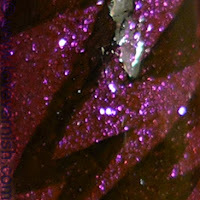 Today I am showing you another pretty glitter from the El Corazon Confetti line. Last time I showed you 529a, a gorgeous blurple color. 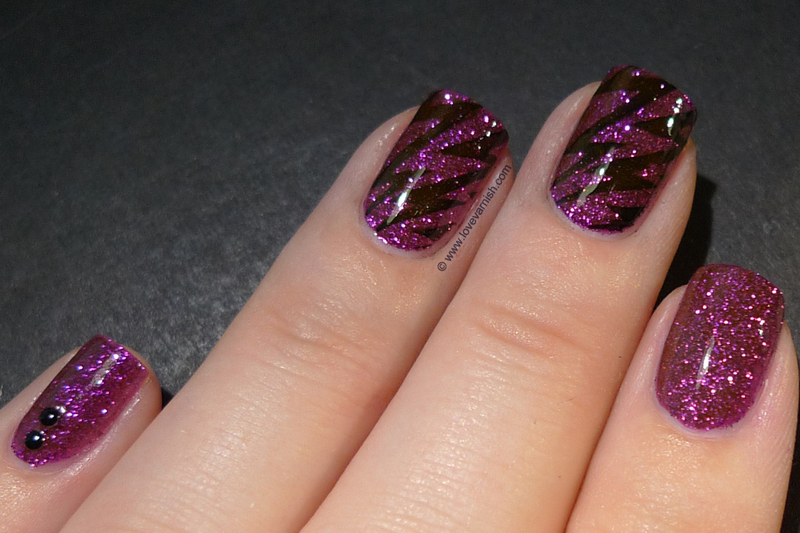 This time it's a magenta colored glitter, and it is beautiful! El Corazon Confetti 532a is, as I said, a magenta colored glitter, and the base is magenta tinted too. There is some brown undertone to it, that shows up in some angles and sometimes doesn't. It was more obvious in pictures than in real life. The sparkle is amazing with these polishes and application is super easy. 2 coats were needed for opacity, the formula is on the thicker side but spreads easy and no clumping of glitter at all. It is a bit topcoat hungry, so I used 1 coat of Gelous before using my Essence Better Than Gel Top Sealer, and it was a glass smooth finish after it dried. I stamped my middle and ring finger using Bundle Monster 305, and applied some round and square studs to my pinky and thumb. I pressed down the studs in the Gelous so they were sealed in with the final topcoat. Do you like this look? And what do you think of the glitter? Let me know in the comments! I sent El Corazon an email nearly a week ago and got no answer :( Deborah, how long does it take for the package from them to get to you in Holland? Love this! What a pretty glitter! 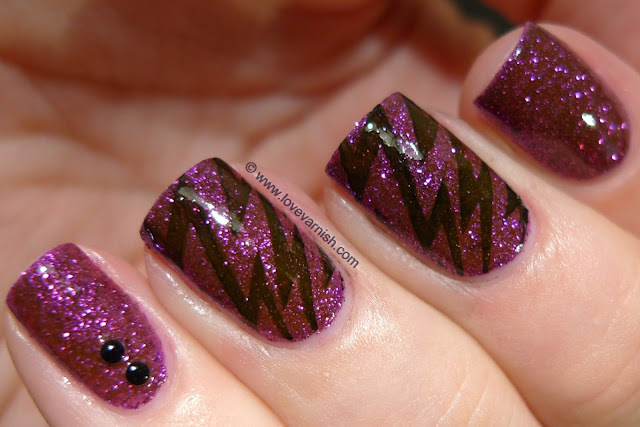 Stunning mani, and I love the glitter! I am sorry to hear that Ewa! Hopefully you'll get an answer soon. My packages usually take around 6 weeks I think. Russian post is sloooooow. Yes they kinda resemble the look! Thanks for your sweet words. This is so lovely! I love love the glitter!